The year 2019 is less than two months away, and to welcome the new year with loved ones over hotpot is a great idea. 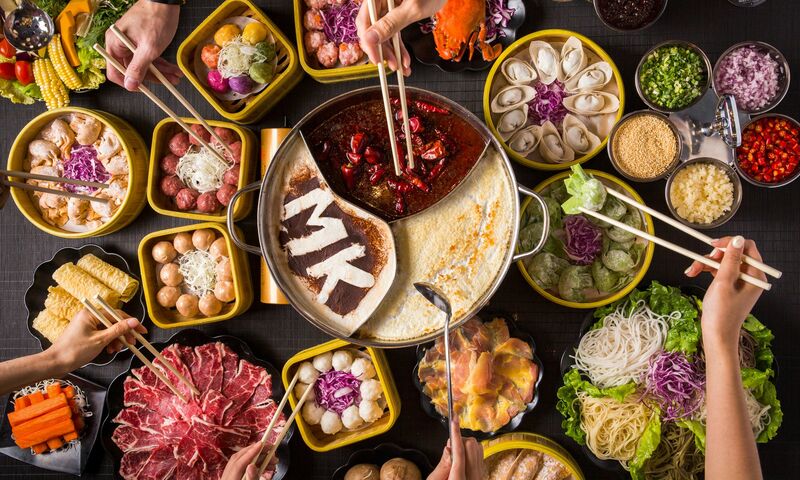 This winter, Megan’s Kitchen, the popular hotpot and Cantonese restaurant in Wan Chai, is launching early bird offers from now until November 30 for advanced bookings on year-end parties, featuring a collection of the establishment’s hotpot specialties. English oxtail soup, tomato and crab soup in soufflé finish, tom yum koong cappuccino, Japanese miso tofu soup, apple and sweet corn soup with spare ribs, coriander and preserved duck egg soup, Chiu Chow sea clam soup, winter melon soup with lotus seeds, dried scallops and Chinese ham, Sichuan spicy tofu soup, Malaysian satay soup, black pepper and salted preserved vegetable with pig tripe. Salted duck egg yolk and pork meatballs, handmade cuttlefish meatballs, handmade pork meatballs, chicken and quail egg meatballs, pork meatballs stuffed with mango, beef meatballs stuffed with papaya. -SeafoodLIve fish, Japanese Hiroshima oyster, Austalian scallop, USA sliced conches, fresh shrimps, and fish maw. Guests placing an early-bird reservation for the hot-pot party menu on or before November 30 can enjoy a complimentary 330ml glass of Asahi draught beer, together with a 10% discount. The exclusive party menu is available now until December 31, 2018. The party menu is priced at HK$500 per person, with additional 10% service charge with a minimum of 10 persons per table. Online reservations are available here.